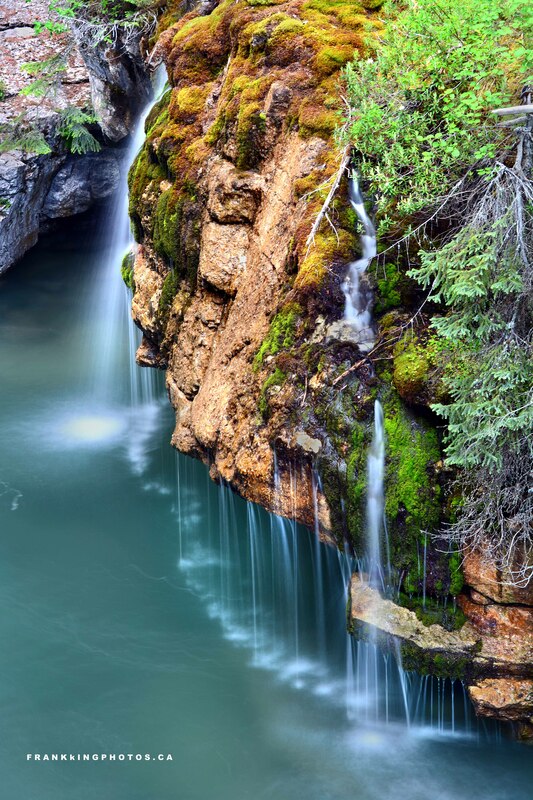 As the Maligne River flows through this stunning Canadian Rockies canyon, up to a half-dozen other water sources join the river to boost the flow as it nears the bottom and enters the Athabasca River. I couldn’t get close to this beautiful feature, but carefully composing with a telephoto zoom lens enabled me to create what I think is a pretty compelling photo. Agree?